All CX5 Mortise Cylinders are produced from high quality solid brass extruded rod material and are available in most popular architectural finishes. By default, cylinders are shipped without key blanks and with no sidebar pins installed. 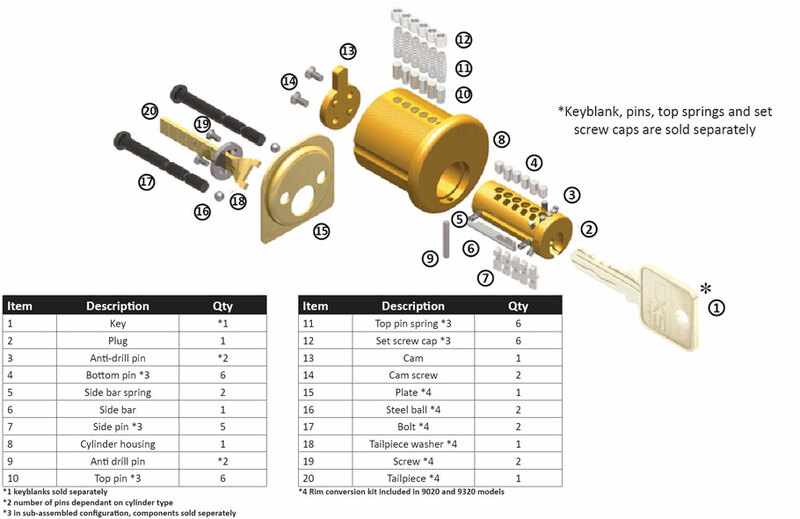 The top springs are made from stainless steel and the chambers are capped with set screws for easy pinning. CX5 mortise cylinders can be converted to RIM cylinder with the CX5 RIM pack. 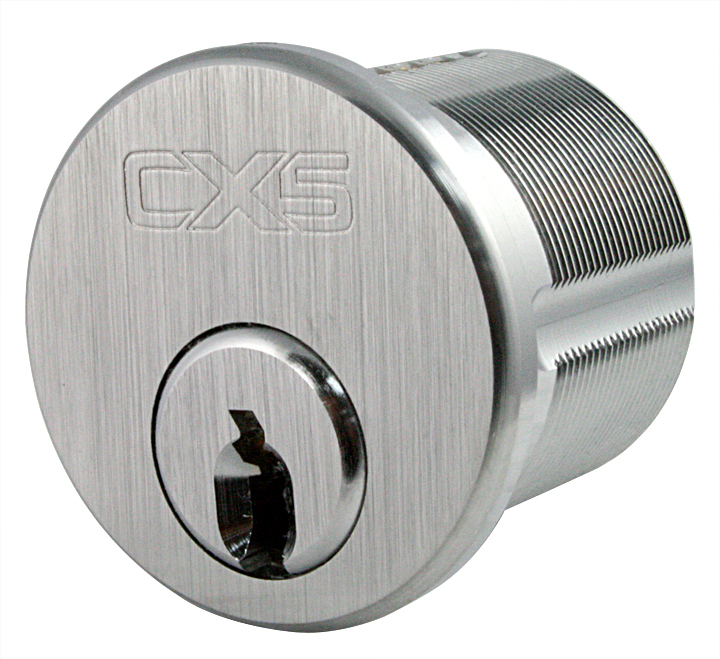 A CX5 RIM pack is included with the 1-1/8 inch CX5 mortise cylinder. By default, the cam A "Adams Rite" cam is installed on all CX5 mortise cylinders. A complete list of CX5 cam options is available in the KITS & ACCESSORIES section. CX5 Mortise Cylinders are available with UL 437 option for enhanced security.